ETC community was happy on their portion, I just got done speaking with their core groups. Cyclical relationships I spoke of this 6 months ago for those that remember - over time you will see how I keep them as a core methodology. Help others help you, in plain English. Expect some media push soon, big thank you again to the NXTer magazine team for their help. This will be a big press release possible several medium to large outlets. We are about to refocus as a team on mainstream businesses​ again, shift is coming. If everything goes as we plan, there will be a series of delivered projects and biz around the same time. I'm handling several things for ETC and making some good things happen but our developers will be moving mainstream now. We also have confirmation from marenkar (NXT Foundation) that the NXT/Ardor core team will be able to make all our lives easier with migration to Ardor Janus once ready. Why limit #happyhour to an hour? We've added an extra hour just for fun! Thank you to the Janus community and those who see the value in a long-term investment with our team, as we approach the upcoming launch of our new Ethereum Classic business… This is a great time to reflect on blockchain initiatives. This is also the pivot point where our team shifts focus back to the Social Trading site and some media sites for our JanusXT holders. If you are wondering “Bjorn why the hell are you so confident about this Social Trading/Fintech site for the past year?” , the reason is because nothing has power like a business model that empowers its users to succeed, both monetarily and making them the rockstars of finance, and we will nail the flow of this site even if it takes 10 versions to perfection. Thank you again for being the awesome community core we have come to rely on for opinions and a good laugh from time to time, the future is what we make it! Yeah the distribution of profit is all NXT software driven, it doesn’t discriminate you just have to hold the JNS in a wallet under your control. This month is slightly smaller than the previous one, mostly because NXT price rise diverting attention from larger bets. Thanks to everyone who helps spread the word of our token, businesses, and team goals. Expect many awesome announcements over the course of April-July, some will probably be a bit unexpected but the end is a great value and strong business for all of us. Well I was not expecting this news so soon and I cannot give full details yet, but someone I know in person who has vast contacts in multiple high profile industries has just accepted our offer to join the Janus team to help in marketing and business relations. We had numerous discussions with our new team member and revealed the entire plan for our parent company and future sites, we couldn’t be more thrilled to have him on board for now and the coming years he has committed to!! Having this person on our team could put us years ahead of marketing penetration. Our team will not make much fanfare over it, reason being that the current organic growth of Janus is many times better and allows for the focus to be on our work vs. promoting token sales. If Janustokens sell it’s because people see value in each milestone, if they don’t then we work harder, this is the best way to progress. It’s neat seeing a last minute idea go from conception to reality, this side benefit for Janus is really nice. BetterBets income though will always be unpredictable, its based on player betting volume and luck. I didn’t expect a 100k+ NXT profit in such a short time, happy for you all, but this wasn’t expected so quickly. On the bright side a full month could be much better, but always keep this portion of the Janus token experience as a wildcard. In that industry, it always is. As of today Feb. 1st, everything we do will be for Janus project and business future. We are working on some last minute admin code, trying to get BetterBets to almost fully automatic, this way we can focus 100% on the Social Fintech site and some side projects. I am seeing now where we could be with 4-6 business revenue streams. The outlook is quite strong. This is just one [business] and although it was a good start, the difference between a medium sized mainstream business revenue and a larger blockchain business revenue are two totally different animals. Mainstream revenue is many times greater (not to knock our blockchain businesses) but it’s just a simple fact. More people, more users. 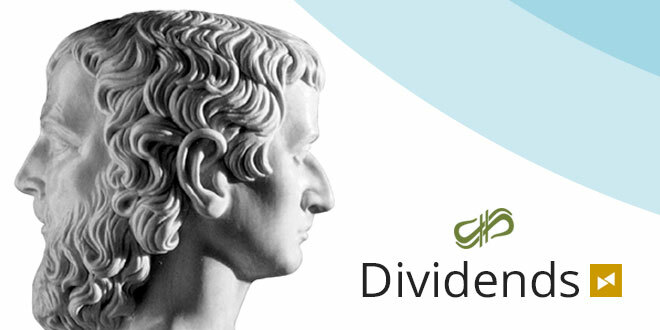 March 4th is the second distribution of 10.5 million Janus tokens and with it the price will be moved from 1.5 NXT per token to at least 2.25 NXT per. Plan ahead, we aren’t playing games in terms of our work and business as I see people starting to realize. So if you want ground floor prices, this is it over the next 30 days. Janus won’t be over hyped, it will by success gather users so in time I feel this token will become what is referred to as ‘cult classic’. My reasoning behind this theory is because the original ICO plan didn’t work out as planned, it has put us into a position of proving our tokens worth through action/demonstration, which you are seeing now (at least I hope haha) as weeks go by. Per our roadmap which will always be liquid btw, this month is the time we buckle down for code and conceptual idea building. When we reach certain milestones I’ll keep you all posted, part of the Social fintech site involves private chat rooms for each master trader (signal callers) so it’s going to be a large endeavor for our developers. Plus i’m a bit picky when it comes to how site flow is especially for this upcoming business…it’s sort of my baby. The site will definetely have a beta testing period, and Janus users will more than likely get first crack at it. That will be the time when you can give all thoughts and feedback, and feedback will be essential. Keep in mind it won’t be just forex site, it will have a crypto portion as well so if you’re a heavy day trader in either we will need your input/suggestions/rants. Congratulations everyone for a successful Janus project milestone. We look forward to many more this year and the years to follow!